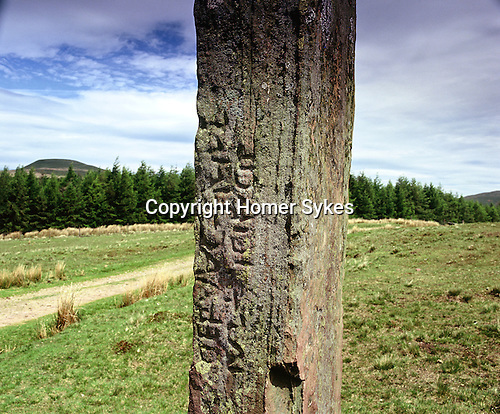 Maen Madoc, Nr Ystradfellte, Powys Wales. Celtic Britain published by Orion. 11 foot tall monolith inscribed in Latin "Dervaci Filius ivsti ic iacti which translates as "Dervacus the son of Justus here he lies."